At Southern Maryland Dietitian it is understood that one diet, meal plan, or program does not fit all. 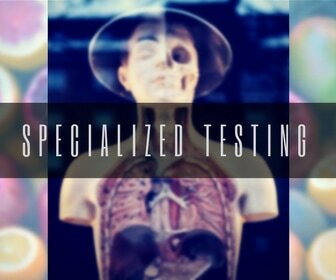 That is why all services are highly individualized. There are no pre- packaged programs. Nutrition Counseling is available for children and adults. Did you know almost all health conditions can be improved through nutrition? No matter what your goals are --let us know and we will work with you to find the right solution. To schedule, cancel, or reschedule an appointment -- please use the "Client Portal - Schedule Online" link above. Phone calls to the office are generally returned within 48 hours -- for quicker service please email or use the Client Portal Info@SouthernMarylandDietitian.com or schedule online. (The procedure codes are 97802 & 97803). Do I need a referral or prior authorization? ​Obtain a reference number from your call. Aetna -- Must have a referral from a physician with a medical diagnosis included. Self Pay options are available. EFFECTIVE OCTOBER 18, 2018: Southern Maryland Dietitian is no longer a participating provider with US Family Health Plan. ​Southern Maryland Dietitian is not in network with United Healthcare. Southern Maryland Dietitian is not a Medicare Provider. If Medicare is your primary insurance we are unable to bill your insurance for your visit, this includes any secondary insurance. Please see our Consent Form for more information. ​All consultations are highly individualized. Medical Nutrition Therapy & Nutrition Counseling​ for special diets, medical problems, tube feeding, eating disorders, fitness & sports, healthy eating, diabetes, and many more. Genetic Testing for Weight Loss, Healthy Aging, and Nutrition markers. 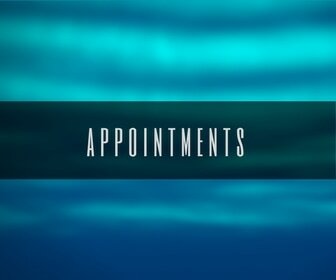 To schedule an appointment, please use our Online Schedule. After your appointment is scheduled, you will receive an email from the office. Please complete all forms. You may also complete your consent form prior to your appointment. No spam. just helpful information. Directions: Southern Maryland Dietitian is located in the Office Now building, just north of Atlantic Cycle and Power. If you are driving south on 301, drive past the Charles County Department of Health and past Theodore Green Blvd and make a U-turn at 227/Willetts Crossing Road; when you come north, Office Now will be on your right hand side. It is the smaller of the two office buildings. Calls are generally returned within 48 hours -- for quicker service please send an email or schedule online.